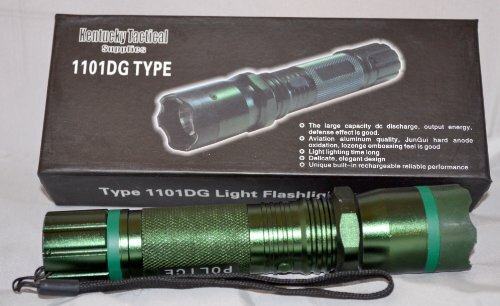 Jungui 1101 Police Light Flashlight (Reinforced) Electronic Riot Device with Nylon Carry Case. Purchase of this product is an agreement by the purchaser to hold the seller harmless of all liabilities and damages. The purchaser assumes all responsibility for the use or misuse of this product. The purchaser must check and abide by all local laws governing the possession and use of a stun gun. The purchaser also acknowledges they must determine their legality before purchasing and they are an adult of at least 18 years of age and under no legal disability. 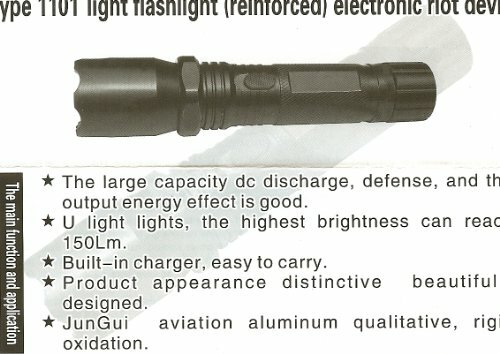 The stun gun must be used only in a lawful manner for self-defense. It is the responsibility of the buyer to ascertain and obey all federal, state, and local laws in regard to the possession and use of a stun gun. 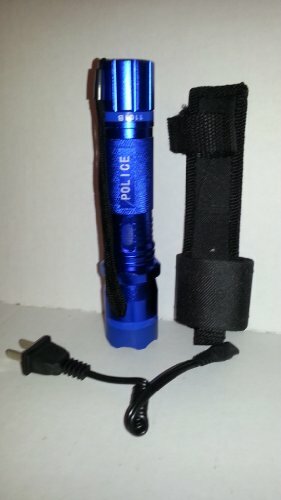 By purchasing a stun gun, the buyer conveys to the seller they are at least 18 years of age and have check the legality to possess a stun gun in their local city or town, county, and state. 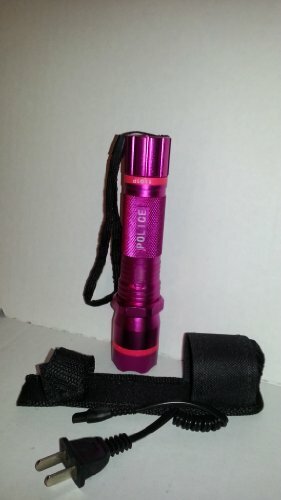 **MUST READ** Stun Guns are legal in most U.S. states for individuals of legal age (18 and up). 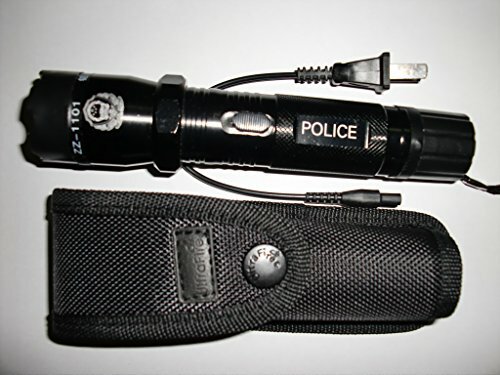 The following states consider stun guns illegal: Hawaii, Illinois, Massachusetts, Michigan, New Jersey, New York, Rhode Island, Wisconsin The following cities/counties consider stun guns illegal: Annapolis, MD; Baltimore, MD; Crawford County, IA; District Of Columbia; Philadelphia, PA. Please check your local laws before purchasing. No Sales Or Shipments Outside the United States. 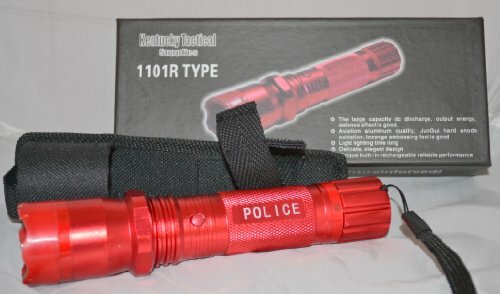 Kentucky Tactical Supplies Type 1101P Police Stun Gun and Rechargeable Flashlight. 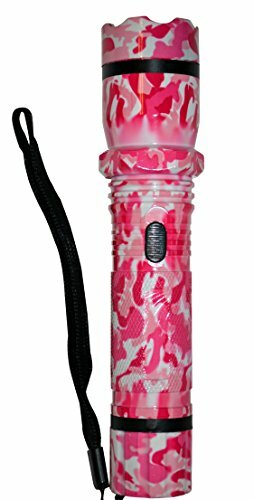 PINK 6 3/4" in length 150 Lumen LED Light Built in Charger / U.S. 2 Prong Power Cord Nylon Carrying case for Belt Loop or pocketbook Aviation Aluminum Reinforced 12 Million Output Volts Beautiful Rugged Design and Color This flashlight/Stun Gun self defensive weapon can be used in hunting, camping, in case of emergency, and many other uses. This is not a Toy!